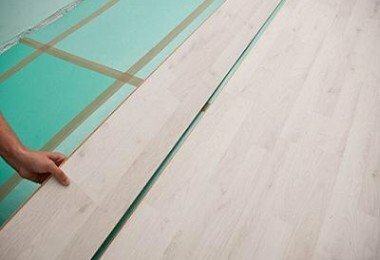 Remember how you choose flooring: trying to find a suitable color carpet, studied the performance. Remember how proud to have a good color combination. It would seem, what more could you want? - Thoughtful interior pleases the eye, but it is necessary to maintain the beauty. It's a shame if because of improper care product quickly lose its attractive appearance or due to accidental "planted" spots will go down the drain all the efforts. Let's talk today about the carpeting. Consider the types of this popular flooring, find out how to properly clean the carpet, so he kept as long as possible their best qualities. 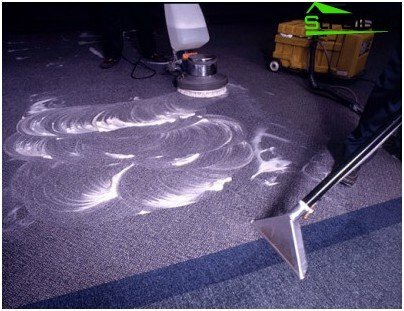 Basic care for any type of carpetis timely and regular cleaning: broom dirt does not vymetesh remains vacuuming at least 2 times a week. It is better to drive a vacuum cleaner with a brush against the nap, avoiding compressions with effort. Let us consider the classification of the carpet so that you can navigate the issues for further care. Well, carpet - modern flooring, carpet on the structure of different species is similar: the primary basis for fixing layer, a secondary basis and, in fact, the pile. by type of pile (different method of weaving pile, length, uniformity). 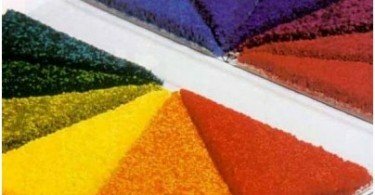 If the production of carpet has been usednatural yarns (cotton, linen, sisal, or wool) - you're in luck, because such coatings are environmentally friendly. Worth a resilient, tight. Wet cleaning in the usual sense of the word - by a washing vacuum cleaner, for example, in this case, is contraindicated. Recall action detergent cleaner principle: special cleansing shampoo for carpets is dissolved in water, carefully rubbing the soiled surface. Some time later, a greater amount of moisture is already removed the dissolved pollution. Natural long nap keeps any remaining moisture. In order not to dilute the excess moisture in the house, it is better to use a special dry composition for removing dirt (dry cleaning). Wet cleaning is a well-wrung cloth also can be made more than once a month. Dry cleaning should be performed at least once in six months. Carpets made of synthetic materials can becleaned with detergent cleaner. But it is very important to thoroughly removes excess moisture. 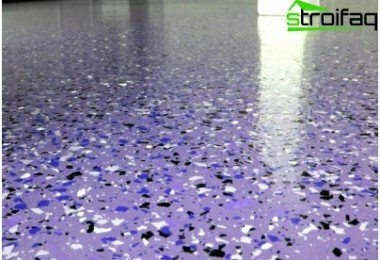 Carpeting dirt-repellent impregnated with special solution, when soaking the product solution can clean up and its beneficial properties repel dirt lose your carpet. It should be noted another fact: if the carpet adhesive agent, it is possible with excessive wet base deformation. Color is also important to maintain color uniformity, eliminate the formation of unattractive stains on the cover, it is better to avoid intensive moisturizing carpet. 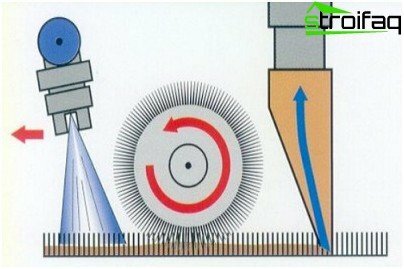 If a secondary backing of carpet was madenatural jute, then the product is very poorly tolerate exposure to moisture: the coating can be deformed (shrinkage after contact with water), optionally odor, various fungi and mold. The base of the foamed rubber and latex, andartificial jute is not afraid of contact with the water, but from the intense moisturizing product "wakes up" any time soon. Any carpet after wet cleaning is to dry properly. Carpets with a basis of latex rubber during installation is very tight to the floor, remove a carpet without damage to the foundations - is problematic, it is best to apply in such a case, a dry cleaning method. You can seek professional help -There are many cleaning companies, whose main specialization - carpet cleaning at home. 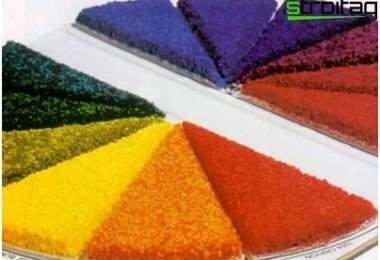 Specialists determine the type of coverage, will make cleaning the most appropriate for your type of carpet, restore anti-static and dirt-repellent coating (special professional adhesives for carpet), it is possible to use special flame retardant formulations. However, it is easy to clean the carpet in the home. Let us consider ways of cleaning. Usually with a damp cloth orbrush with soft bristles (not to damage the carpet structure). The solution is a special shampoo for carpet (usually, only one tablespoon per gallon of water, follow the guidelines on the packaging means) is applied to the surface of the coating. It should be gently rubbed over the surface of the solution while avoiding excess water. You can not mix several funds with different composition. Important! a specialized carpet cleaners should be used. The use of random detergent may cause excessive pollution in future, and loss of elasticity and softness of the fibers (means not washed properly adheres to the pile, drawing the dust and dirt). One embodiment of the wet cleaning may becarpet cleaning in the snow (the main condition - dry snow). Sequence repeats familiar from childhood Carpet Cleaning: Carpet pile is turned on snow, clap lightly broom, knocking the dust. Then transferred again to the pure snow, repeating the procedure. To clean the carpet without water andvarious detergent uses a special formulation for dry cleaning of carpet. The first step is to clean the surface with a vacuum cleaner. 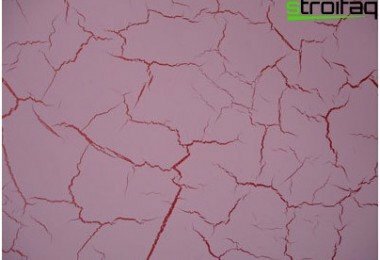 The powder should be applied in an even layer manually or by using a special machine. To the powder has absorbed the dirt as it should, it should be left on the surface - the duration depends on the degree of contamination. Usually from half an hour to two hours. Over time, the powder was removed by a vacuum cleaner. 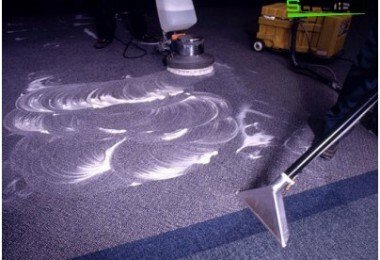 Special composition for carpet cleaning andcarpet cleaners contain various ingredients: alkalis, fine abrasives, alcohol and other substances, chosen so as to dissolve the dust and various impurities. Foam cleaning - it's easy to moisturizing surface foam specially formulated to remove dirt, without intensive moisturizing. The foam is applied to a vacuum cleaner with a special nozzle on the pre-cleaned (with a vacuum cleaner) coating. After the application is required to withstand the time it takes the active components of the foam to break down pollutants in the villi cover. 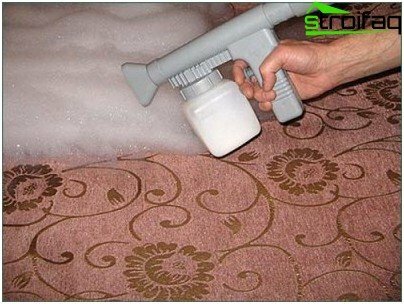 The foam mud is removed from the carpet with a vacuum cleaner. On sale is a set of specializedcleaning products: stain removers, powders, sprays, shampoos, but there are undeservedly forgotten folk remedies: Cleaning carpet is quite possible to apply the recipes compositions intended for carpet cleaning, especially when it comes to stain removal. The easiest way to bring fresh stain. If by chance in the house did not have any specialized carpet cleaners and spot already and spoil their existence to your mood, do not despair, maybe one of the old proven recipes will help rectify the situation. First of all, fresh stain need to get wet -gently, without rubbing on the edges. If you spilled something dense (ketchup, jam, mayonnaise) - collect a spoon and try to scrub the stain remained one of the compositions set forth below. Stains from juice, ketchup and jam under the influencecitric acid solution will be much lighter. It is recommended to slightly moisten the stain and sprinkle with citric acid, leave for a few minutes, then remove with a damp cloth, wiping from the effort. Alcohol-vinegar solution (3 parts alcohol to 1 part vinegar) is also designed to remove stains from grapes, coffee, wine. It is believed that the slightly acidic water-vinegar solution returns pile shine and brightness of color. Cold water with ammonia it is recommended to remove stains from coffee and tea. If you pour salt on a fresh grease stain, the crystals quickly absorb fat. The most effective is considered still a professional carpet cleaning at home. After all, along with highly effective use different technology and a special expensive equipment. As you can see, there are many ways of carpet cleaningat home. You can take advantage of the latest achievements of the developers of household chemicals or apply one of the available tools. Efficiency of application depends on your agility (the "older" pollution, the harder it is to bring it). If you cope with the pollution does not work, you can use the services of one of the cleaning companies - the professional carpet cleaning at home - expensive, but effective service. Let your home will always be cozy and comfortable.